- Strength In Numbers: Extreme reinforcement ensures internal wiring is protected to keep devices charging—supports over 80kg in hanging weight. - Ultimate Durability: Lasts 12x longer than other cables and is proven to withstand over 12000 bends in strict laboratory tests. - USB-IF Certified: Meets all safety standards of the USB International Federation for worry-free charging and transferring. 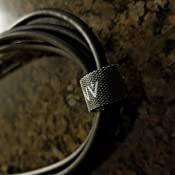 - A Cable for Life: We're so confident about long-lasting performance that we gave a hassle-free, lifetime warranty. 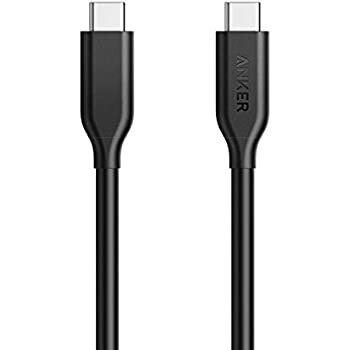 - What You Get: Anker PowerLine II USB-C 2.0, a hassle-free LIFETIME WARRANTY and friendly customer service. 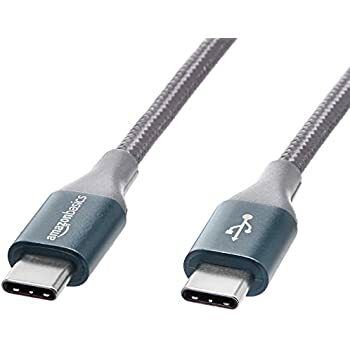 I've gone through a lot of both micro and USB-C cables. I keep running into the same scenario - they work just fine out of the box, specifically with respect to quick charging. Then after a couple months, my device/charger refuses to quick charge with them. I've experienced this with multiple devices and chargers. 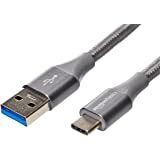 Eventually, I did some searching online and found several prominent reviewers of USB cables. The notion of reviewing cables seems a bit awkward even now as I type this review, yet here we are! 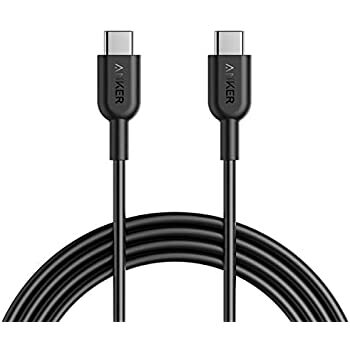 Anker is consistently high up in the reviews, so I gave them a go, hoping that I'd finally get some cables that will last. I'm here to report back to you, fellow shoppers, that it's been 4 months and no issues. I've come back to buy more Anker cables! Be sure you read up on USB-C protocols and you get what you need. Apparently this one doesn’t support fast data transfers from device to device. But that wasn’t what I bought it for - I needed a long cable to charge while I use my iPad. This fits the bill. Works great with no issues. Durable, so far. 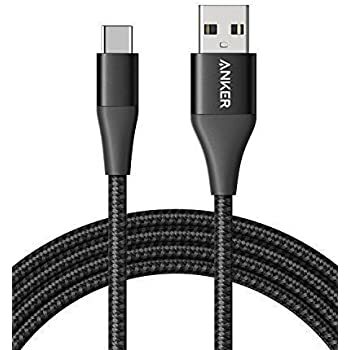 I would have preferred a braided cable like Anker’s other lines for the price, but I guess USB-C is more expensive. All in all a great product from a pod company at a reasonable price. 5.0 out of 5 starsAllows iPad Pro 11" to charge quickly. I've been able to use and measure this cable a bit. In my attached picture it shows about 15 Volts at roughly a total of 28 Watt output. Very nice. 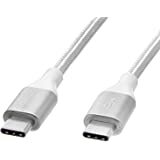 I've also seen a standard USB-C charging port that supports 5 Volt 3 Amp work with this cable at roughly 4.6 Volts and 3 amps. I'm very happy. 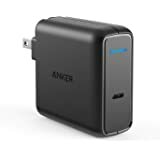 I tested the higher voltage Power Delivery with the: USB C Car Charger, Anker 49.5W PowerDrive Speed+ 2 Car Adapter. Which is very nice as well. 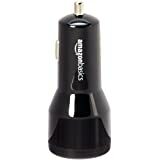 Allows power delivery 15 Volt 2 Amp Charging. 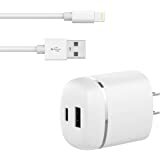 Excellent product, and way cheaper than the Apple-branded USB-C power cord. I use it with my 2018 Macbook Pro, and it's great. Zero problems with compatibility. 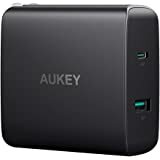 I pair it with the Anker USB-C 60w power brick (also a great value). 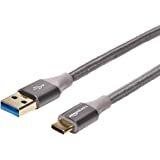 After the USB cables that came with our phones started to fray and my first replacements died within a few months, I decided to quit being a cheapskate and spend the few extra bucks on a cable that would not need replacing. 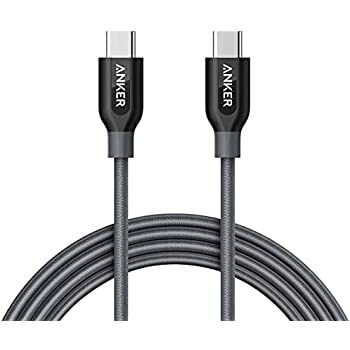 The Anker PowerLine II cable has lived up to its advertising and has performed flawlessly for a few months now. My family members are happy to be able to charge their phones again without worrying about poor connections or cables falling apart. Highly recommended. ** Update: This cable began to fail after about four months and was non-functional a month later. 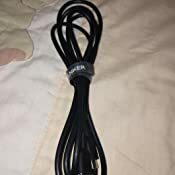 I contacted Anker customer service and they sent me a new cable at no charge. The five-star rating stays because of that great customer service! I throw the cable in my backpack all the time and it has managed to last for over a year (still works). For the price, you can't go wrong with this product. Personally, I've had 0 issues. I'd love to sit here and make this review longer, but... it's just a cable. But hey, it's a durable one that will last you longer than other first party brands, such as Apple, One+, and Google. Plus, it is cheaper to get this cable than to get one of those first party ones. 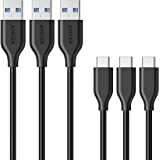 I hope Anker releases a 10' and a 1' USB-C to USB-C cable. 10' would be really nice for my bedside (I currently use this 6' one for that, but 10' would be even nicer). 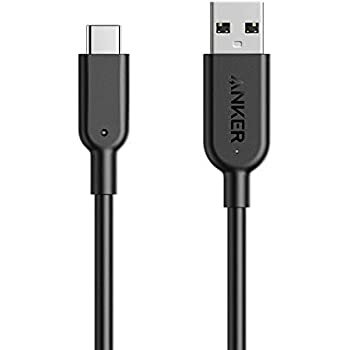 Also, a 1' cable would be nice for Anker's new 10,000 PD portable battery. Since that'll probably be in my pocket, I'd like to have a smaller cable for a more compact design. 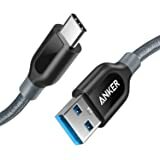 Hopefully Anker reads this and makes those two lengths, as they have those lengths for Micro USB and Lightning. 5.0 out of 5 starsLasted a year (so far). Totally recommend! I bought this cable in early March 2018. It's now Feb. 2019 and it still (mostly) works. I keep it by my bed and have used it every single night since I bought it. I also got the Anker wall plug to go with it and it's still perfect. It rapid charges my Pixel 2 just fine. It usually goes up 50% in half and hour while I'm using it. The only issue with the cable started just this past week. 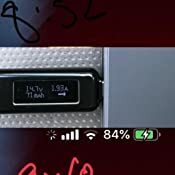 When I plug it my phone it disconnects on and off for a minute and then usually stays connected the rest of the charge, but I'm preparing for it to stop eventually so I'll be buying another one now for sure. 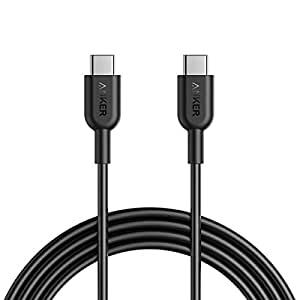 My old iPhone cables never lasted more than a couple months, so I'll gladly take another year for only $13. The cable was faulty or unstable to begin with. 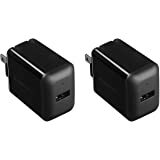 I bought it along with the Anker charger. Initially they worked fine. However, after a couple of weeks, the combo stopped charging my macbook pro. I tried the same cable with the factory charger, and it seemed to work. So I thought maybe the charger was the issue. However, the cable stopped working for the factory charger after a while as well. I requested a return for the charger on Amazon. But at the same time I bought a new cable and tried both the chargers. They seem to work fine with the new cable since last few weeks, which means the cable deteriorated to unusable in a short time. I am really hoping the same doesn't happen to the charger as well. 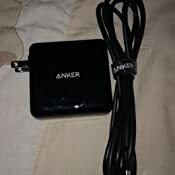 The way Anker (and most companies) gets you to buy more stuff is that the life of these products are engineered to be just enough for the return policy to expire. And now I am stuck with a bad cable I bought less than 2 months ago.